If you are interested in joining, or if you have an enquiry about our orchestras, please contact Mary Wright on 9434 2147 or contact us at eltham.orchestras@gmail.com or on our Facebook. 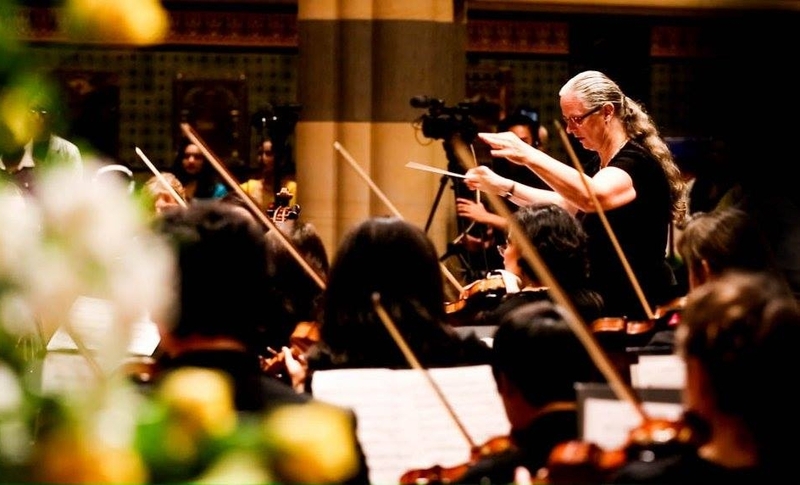 View the list of some of our past concerts here. The Eltham Orchestras are based in Briar Hill in northeast Melbourne. We perform a variety of music in regular concerts throughout the year and have been for over 40 years. Our group welcomes musicians of all ages and appropriate skill levels to join us in our rehearsals on Wednesday nights. Our regular concerts are held twice a year, with additional performances being arranged from time to time. Each year the orchestra participates in a fully staged theatre show in collaboration with the Diamond Valley Singers. Woodwind, Brass, Percussion and Strings AMEB or equivalent from Grade 6 and above. Rehearsals are on Wednesdays from 7pm to 9pm for Strings and 8pm - 10pm for Winds, Brass and Percussion. String players from AMEB or equivalent Grade 1 - 4 standard. Rehearsals are from 6pm - 7pm on Wednesdays at Briar Hill Primary School. Members of the Beginner Strings are invited to play with the Extension Strings upon reaching a high Grade 4 - 5 playing level. This consists of an extra 30 minutes from 7pm - 7.30pm. Recordings by Kevin Neale, Saturday December 3, 2016. Born in Graz, Austria, Marie-Louise Wright (Mary) began violin studies with Brian Fish and later with Zefferino Mendes, Tim Wachtel and Warwick Stengards. She studied conducting and Musical Direction with Dr. Peter Clinch, Robert Rosen, Marvin Rabin, Jerry Nowak, Dr. Robert Culver and Dr. LeRoy Jones as well as attending Symphony Australia workshops in Tasmania, Melbourne, Adelaide, and with the Royal Australian Navy Band. She is currently the conductor of the Eltham Orchestra and its string groups, as well as the Surrey Hills Orchestra. 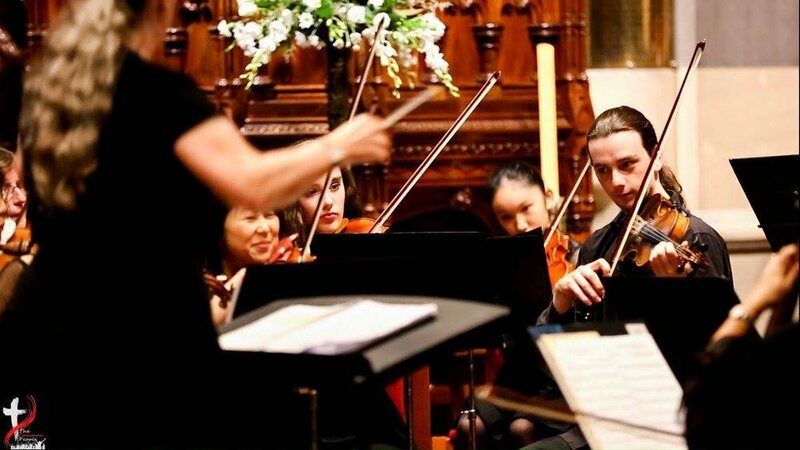 Marie-Louise is the past conductor of the Victorian Concert Orchestra, Preston Symphony Orchestra, Preston Strings, Preston Junior Strings and the Henry Touzeau Strings for Melbourne Youth Music. She is also the conductor of many light opera shows presented by the Diamond Valley Singers. Mary is also an experienced string teacher, currently providing school-based and private lessons.